This is so good… Nick Cave & The Bad Seeds perform ‘Push The Sky Away’ and other songs. The new album songs are in B/W the rest of the concert is in colour. The source for this DVD is the YouTube HD re-broadcast that was avaiable only 24 hours, image quality is near perfect. Huge Thanks to Š†©kmªÑ for authoring this DVD. 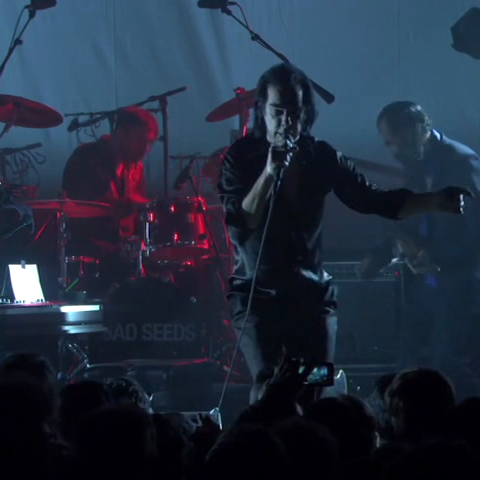 via DARK CIRCLE ROOM: Nick Cave & The Bad Seeds – Fonda Theatre, Los Angeles, USA – 21.02.2013 [NTSC-DVD].